An all-in-one estimate software that helps you capitalize on potential customers and move forward quickly & efficiently to further expand your services within your current customer. Being able to move forward quickly and efficiently with current or prospective customers is a crucial part of any growing business. GorillaDesk’s estimate process will provide your business with the necessary tools to capitalize on fresh leads and further expand services within your current customer base. Impress your clients with GorillaDesk’s sleek Estimate templates. Easily generate quotes for your services out in the field and back at the office. 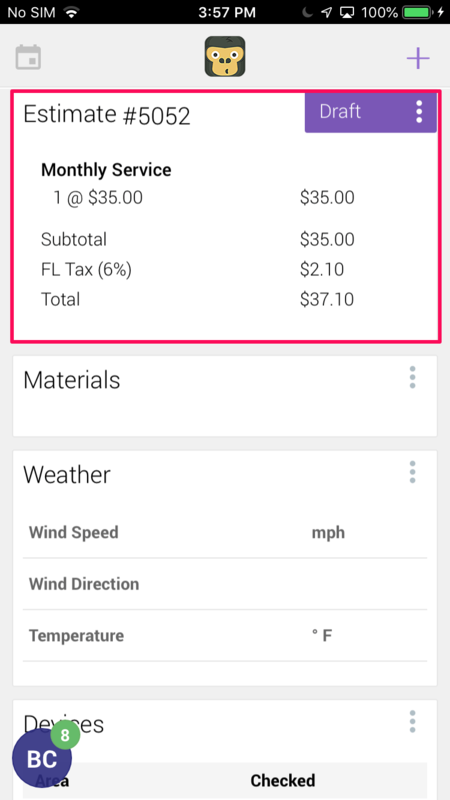 Add your own custom notes and terms to your estimate. Email estimates to your customers with just a click. 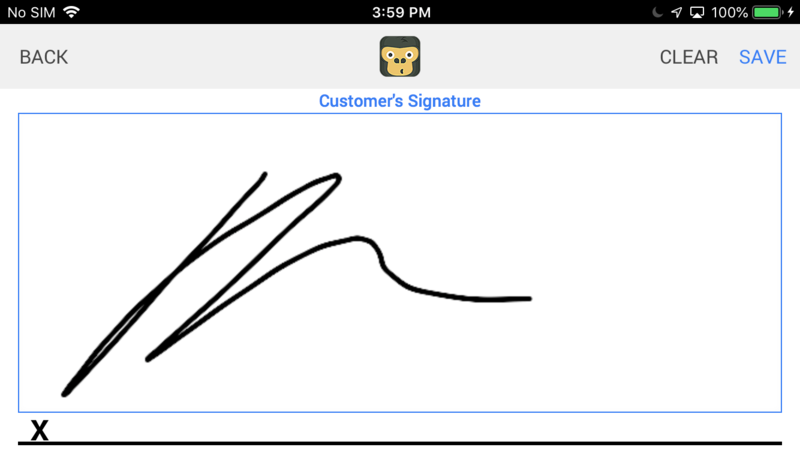 Accept customer signatures out in the field. Access all estimates at any given time across all platforms. 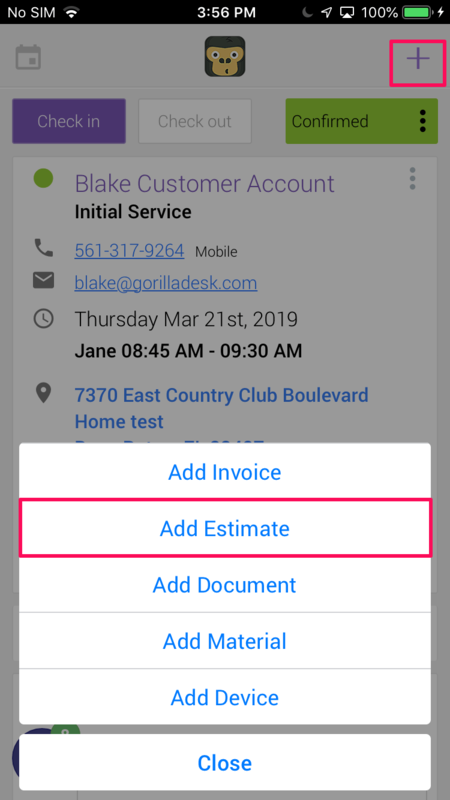 Users will have the ability to build Estimates with custom terms, notes, and pricing all within the Desktop version of GorillaDesk.Whether you prefer to send your estimate by email, receive approval in the field, or print a physical copy for your customers, GorillaDesk is here to help. 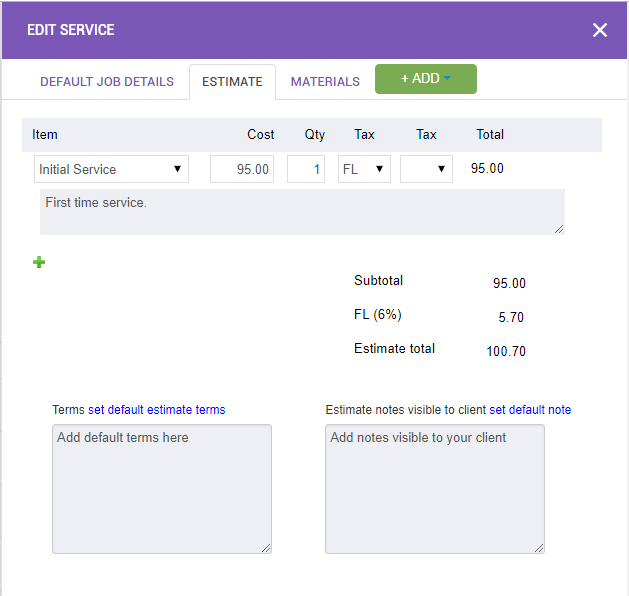 Additionally, GorillaDesk provides several areas where estimates can be utilized. 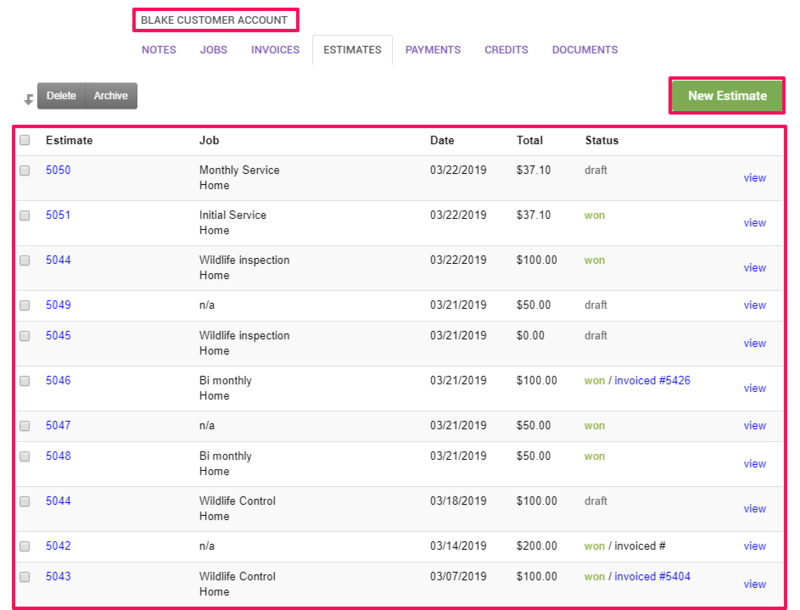 When creating your service templates, you will have the option for a default estimate to automatically populate with that template. For example, if you create an ‘Initial Service’ template intended for first time visits to prospective customers; you can have an estimate that will always be associated with your ‘Initial Service’. This will allow you to streamline your sales process and serve your customers more efficiently. 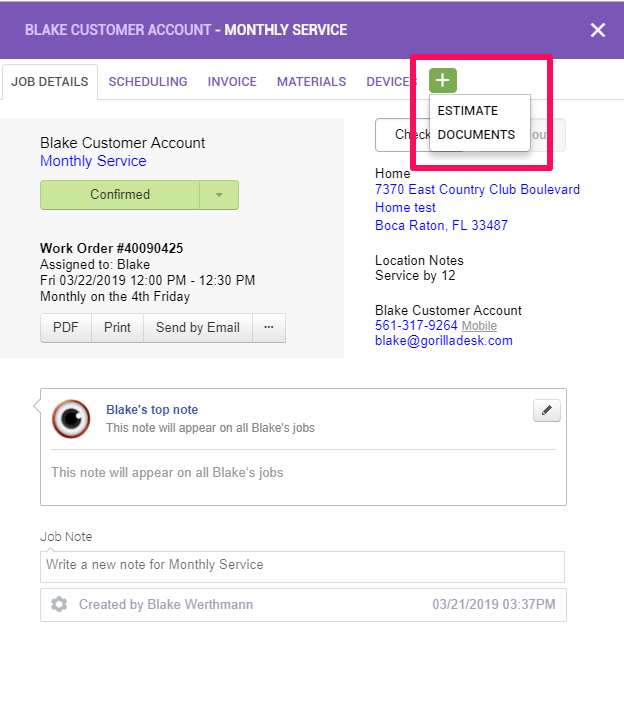 Another area where office/admin users can build estimates is within an active job. This will streamline your technicians workflow in the field and allow them to focus on what’s really important; serving your customer to the best of their ability. 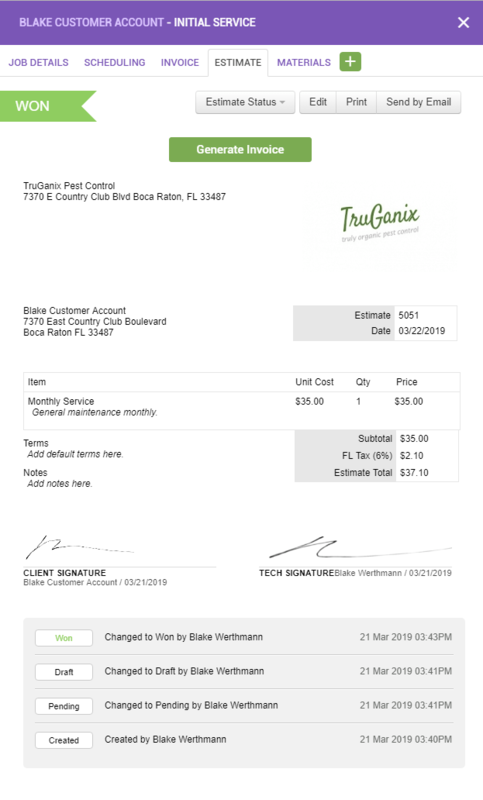 Customers can approve and sign an estimate while the technician is in the field or they can receive their estimate by email. Once an estimate has been won, it can be converted into a stand alone invoice, or into a new job with the new invoice attached. 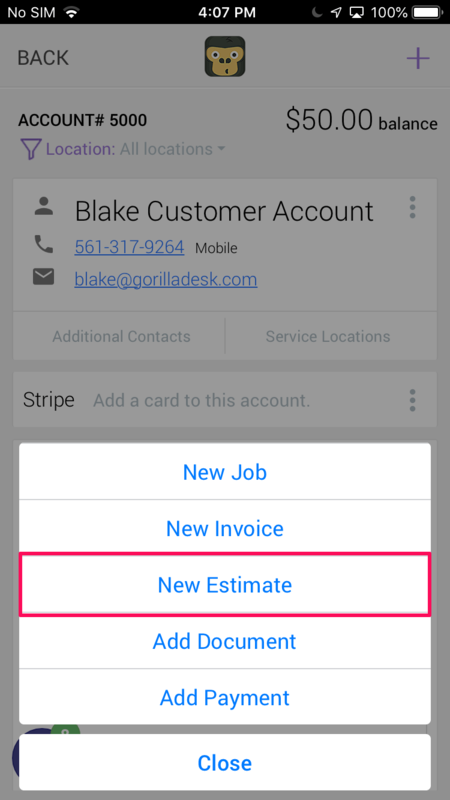 The third area where you can utilize estimates is within a customer’s account. 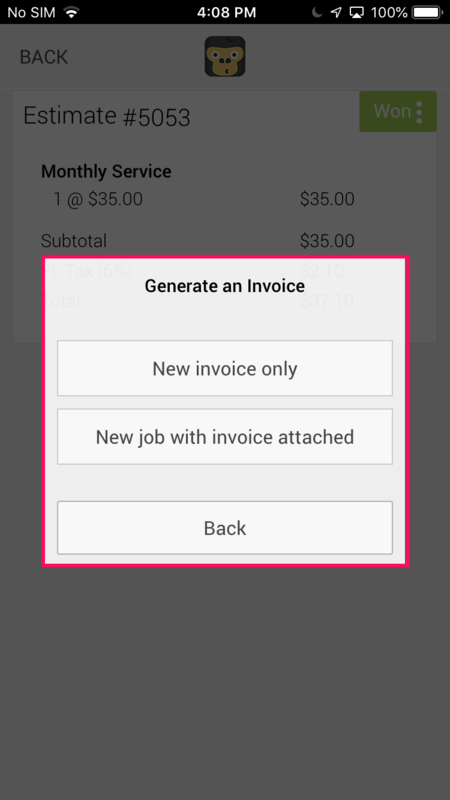 This will allow you to create stand alone invoices that aren’t associated with any specific recurring job. Additionally, you can also view all estimates associated with that customer, within their account. So you’ll never have to worry about skipping a beat or any information falling through the cracks! 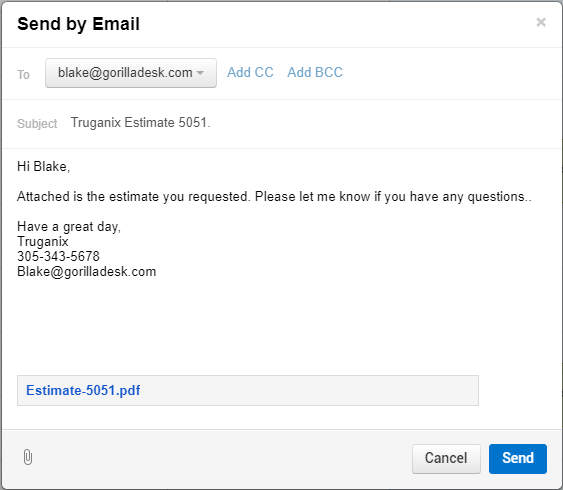 GorillaDesk’s heavy hitting estimate process isn’t limited to just the desktop. The mobile app offers much of the same functionality on the go. 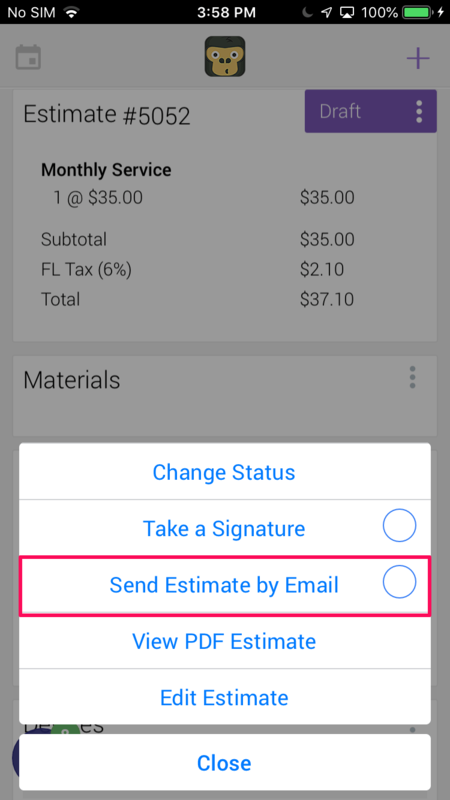 ✓ Work with a predefined estimate or build your own, all in the mobile app. ✓ Accept signatures in the field. ✓ Send estimates by email. 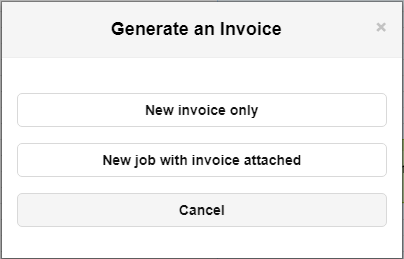 ✓ Convert ‘Won’ estimates into stand alone invoices or jobs with an invoice attached. 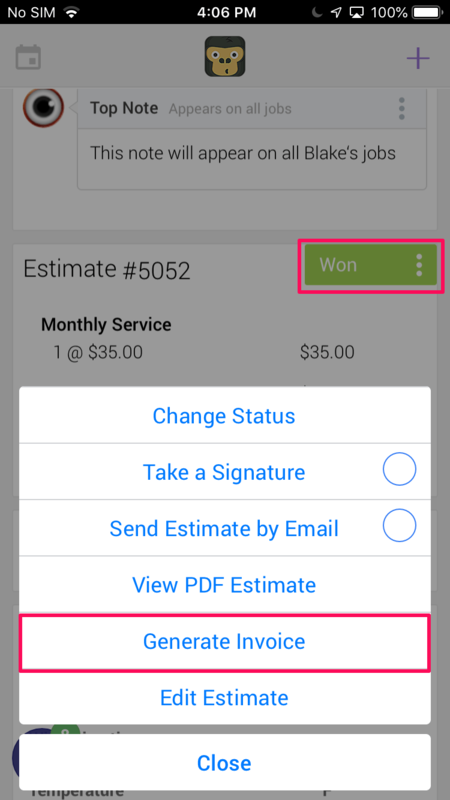 ✓ Mobile Users can also create stand alone estimates within a customer’s account. ✓ All estimates for each customer can be accessed within their accounts at any time. A customer or potential customer’s evaluation period provides a very short window before they come to a decision about their new service. Our team is here to make sure you have all of the tools necessary to act quickly throughout the process; allowing your business to scale fast and crush milestones! Try our 14 day trial or schedule a demo to learn more! Do I need to be on the Pro Plan to have access to Estimates? Users will have access to estimates on both the Basic and Pro plan. Will I be able to add specific terms or notes onto my Estimates? 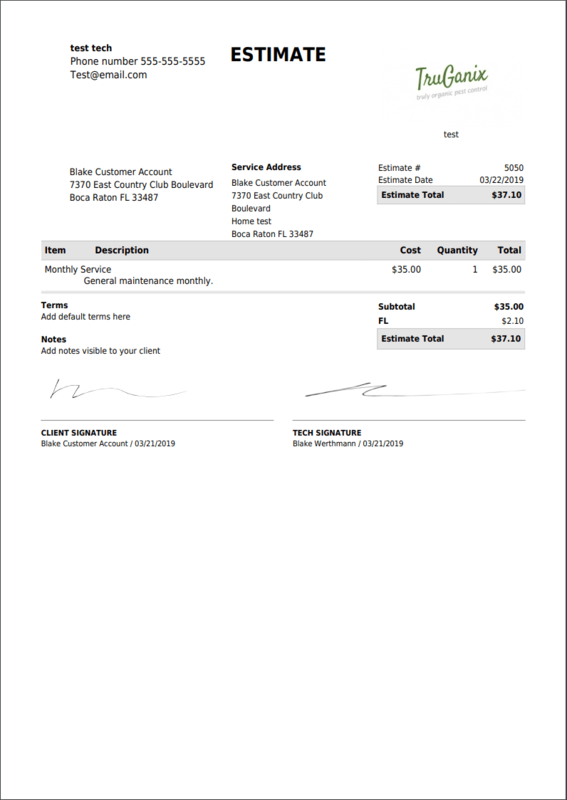 Yes, GorillaDesk provides both Terms and Notes fields on your invoice. 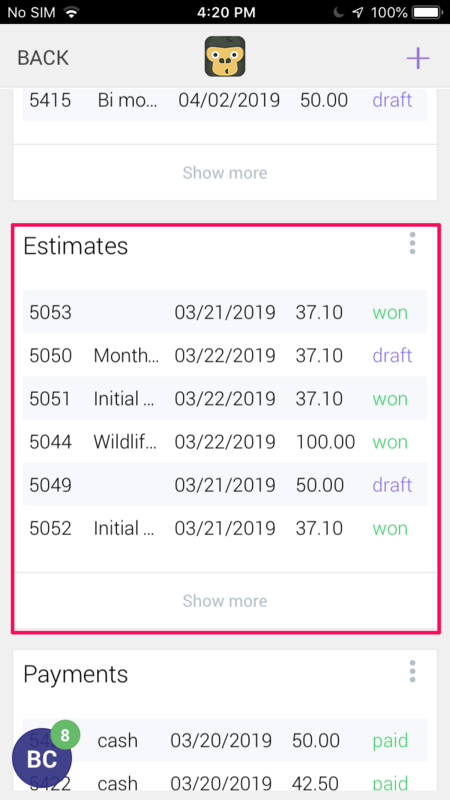 You will also have the ability to set default notes and terms which will automatically populate once an estimate is generated. Will I have E-Signature capability on my estimates? Though Estimates do not offer an E-Signature functionality, your customer can provide a signature directly onto the mobile device in the field. How will I be able to follow up on my pending Estimates? You can designate estimate email reminders that will go out automatically to customer’s with ‘Pending’ status estimates after a specified time period.